Today we have a guest post from Jon at Money Smart Guides. Jon will be providing some unusual but effective ways to stretch your paycheck. Those of us old enough to know, love to sigh in frustration that money ain’t worth what it used to be. Horrible grammar aside, it is true that the value of the dollar has diminished over the years, mostly due to natural inflation, and partly due to other economic and fiscal factors (which seems to depend on which side of the ideological scale you sit). 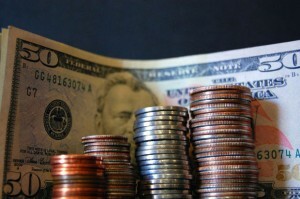 No matter the cause, the reality is that we all know our money doesn’t go as far as we think it should, and that usually means sometimes we have to take some steps to stretch our money a little farther. And that usually means some kind of sacrifice. Oh sure, maybe you can find some bargains or do some couponing that you didn’t do before in order to get better prices on items, but to really do wonders with your budget, you will have to take some unusual measures. Here are a few creative ways to save money and makes those limited dollars last longer. These are not normal ideas that most people talk about, like couponing or buying store or generic brands. Just look at these less conventional ideas. You really do not have to wash your hair every single day. Some stylists say that your hair can actually benefit by less shampooing to look good. If you shampoo every day and the idea of going to once a week scares the bejeezus out of you, scale back slowly. Even changing to every other or every third day will save you some money because that expensive shampoo now can stretch twice or thrice as long. And when it comes to the bottle being close to empty, don’t just toss it. Add a little water and shake it when you plan to use it. It will help you get every last drop out. This means shop with a time limit. When you are under no time constraints, it can be easy to browse and have impulse buys that are not on your list. To save money, put yourself on a time limit, such as going shopping right before you’re supposed to be somewhere. That deadline helps you stay focused on your list. You get only what you need and get out. Of course, you can also rely on use a shopping list as well. This will help you to focus on what you need and not finding things you want by browsing. Coupons are great for brand-name items, except … even after the coupons, generic or store-brand items may still be cheaper. If you can compromise your palate for the sake of some savings, go store or generic brands and ditch coupons. In fact, when it comes to taste, I really can’t tell the difference between store brand and name brand. And many other people can’t either. And those “save $10 when you buy $100” deals? They are designed for you to spend more than you really should or need to. Since toilets are often a gross subject, we’ll keep this short. First, don’t flush every time only when you go number two. Second, if you put some sand in a plastic water bottle and put the bottle in your tank, you can save water each time you flush, which saves you money on your water bill every month. Just be sure you don’t have a low flush toilet already as doing this will not allow enough water to be used and as a result, your waste won’t wash away. It’s easy to overspend when you blindly whip out your credit or debit card. Cash however, has a certain trigger to it where actually spending it feels different. As in a little painful. Using cash may add a little hassle but also may save you from making those impulse or frivolous purchases. Don’t think so? Try going all cash for a month and see how much it hurts to see the money leave your hand as opposed to just swiping a credit card. The disconnect seems small, but psychologically, it is a big deal. When you do fast-food places for a meal and you either pick up condiment packets or get them thrown into your to-go bag, keep in mind to save the ones you don’t use. Saving packets of mustard, ketchup, salad dressing or even salt and pepper may save you money in the long run because you won’t need to buy those condiments as often – if at all, if you’re very aggressive in obtaining those packets and judicious in using them. When possible, re-use things like plastic wrap, Ziploc bags, and aluminum foil instead of tossing them after one use. Some items can be used several times or many times. The fewer bags and less wrap you need to buy, the more money you save. And in a related note, if you are a coffee drinker, you could save your grounds to use as fertilizer in your garden or as a skin exfoliation. We reuse Ziploc bags all of the time. When we travel, we tend to group items together in bags. When we come home, instead of tossing them, we keep them with the luggage and reuse them. Of course if something spills, we will toss the bag. But you could always just clean out the bag for future use. It does make one wealthy and wise, at least, because if you do what cowboys used to do and go to bed earlier and get up earlier, you actually save electricity use at night. Related to electricity is this: Your house saves electricity when you use only one appliance at a time, such as your heating/cooling units, washer/dryer and dishwasher. You can survive without heat or cool for an hour while you wash dishes, and you can survive while you go through a cycle of clothes. When you can, run an appliance late at night or very early in the morning, when the electrical grid isn’t so taxed. That alone could save you a couple bucks a month. Yes, we know that some of these ideas are a little too odd for you to believe you could make them part of a routine in your life, but even adjusting with a couple of these ideas can make a world of difference in your house, and actually might not be much of a sacrifice while still saving money. But if these are too extreme for you, fear not. Remember that if your paycheck is tight, you have two options: save or earn more. If you would rather keep your current habits and not try to cut expenses, you could turn to ways to bring in additional income. The obvious starting point is with your current job. Can you get a significant raise? If not, you have many other options for making money. Thanks to technology, there are almost an unlimited number of ways to making more money. So what do you want to do? Do you want to change the way you do some things and save a little money? Or would you rather keep things as they are and make more money? The choice is yours. Just know that whichever one you choose (or even a combination of both), but saving money each month, you are getting ahead financially. Author Bio: Jon blogs at Money Smart Guides, a personal finance blog that helps people get out of debt and start investing for their future. Yes. For us, we’ve seen times where using coupons does make sense but when you have generic brand products (or in a lot of cases for us, products from Aldi), it’s definitely a mix. I agree. I used to use coupons but even with them, the price for the generic version was cheaper. I decided to give it a try and haven’t looked back. I love these points! I don’t think they are too extreme at all 🙂 I am in the UK, and couponing is not really done at all here. Interesting. Is couponing done at all? Are there other ways for you to save on groceries other than buying generic?